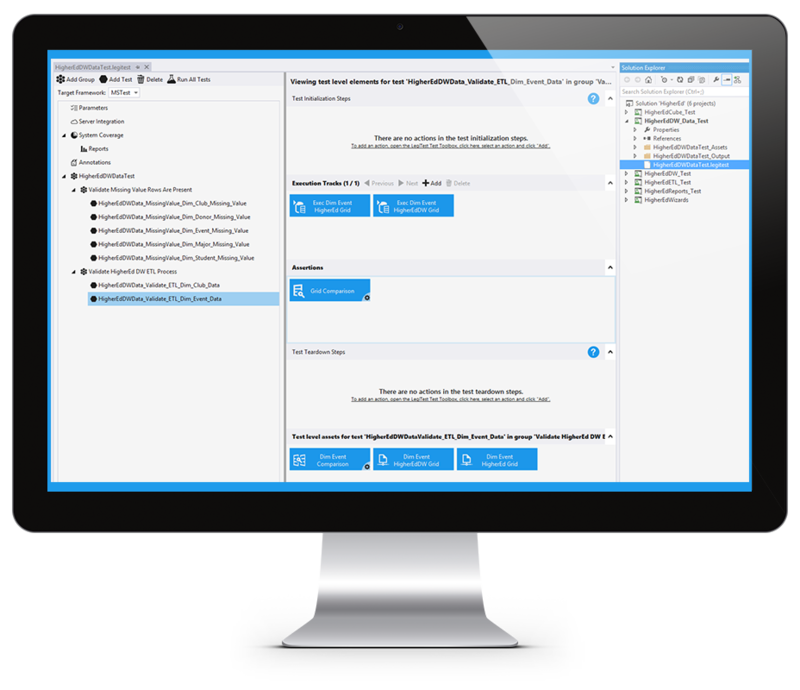 LegiTest from SentryOne integrates with Microsoft Visual Studio so you can work inside a familiar environment without using multiple tools or learning a new programming language. You can also quickly and easily test SQL Server Databases, SSIS packages, SSRS reports and SSAS cubes with LegiTest. You can build complex unit testing code directly in Visual Studio using a drag and drop interface and graphical designers. Because you’re in Visual Studio, you can easily integrate the tests into your existing data projects and source control. Behind the scenes, LegiTest creates standard NUnit or MSTest unit tests without requiring you to write a single line of code. Once you have created your tests, you can run a single test or an entire suite of tests inside Visual Studio with the click of a button. You can also run the tests from a command-line, on a build server, or through LegiTest Server. Since the tests are based on standard testing frameworks, integrating them into your existing build and deployment process is straightforward.